"ESPACE, FRONTIERE DE L'INFINI VERS LAQUELLE VOYAGE NOTRE VAISSEAUX SPATIAL. SA MISSION DE 5 ANS, EXPLORER DE NOUVEAUX MONDES ETRANGES, DECOUVRIR DE NOUVELLE VIES, D'AUTRE CIVILISATIONS ET AU MEPRIS DU DANGER, AVANCER VERS L'INCONNU." "SPACE THE FINAL FRONTIER. THESE ARE THE VOYAGES OF THE STARSHIP ENTERPRISE, HER FIVE-YEAR MISSION TO EXPLORE STRANGE NEW WORLDS, TO SEEK OUT NEW LIFE AND NEW CIVILIZATION, TO BOLDLY GO WHERE NO MAN HAS GONE BEFORE." "SPACE THE FINAL FRONTIER. THESE ARE THE VOYAGES OF THE STARSHIP ENTERPRISE, HIS CONTINUING MISSION TO EXPLORE STRANGE NEW WORLDS, TO SEEK OUT NEW LIFE AND NEW CIVILIZATION, TO BOLDLY GO WHERE NO ONE HAS GONE BEFORE." "L'ESPACE, L'ULTIME FRONTIERE, TEL EST LE BUT DES VOYAGES DU VAISSEAUX SPATIAL ENTERPRISE, SA MISSION PERMANENTE EST D'EXPLORER DE NOUVEAUX MONDES, DE CHERCHER DES FORMES DE VIES NOUVELLES, DES CIVILISATIONS INCONNUS, D'ALLER AUDACIEUSEMENT LA OU PERSONNE N'EST JAMAIS ALLE AVANT." "L'ESPACE, L'ULTIME FRONTIERE, VOICI LE VAISSEAU GALACTIQUE ENTERPRISE. SA MISSION : EXPLORER DES MONDES NOUVEAUX ET ETRANGES, DECOUVRIR DE NOUVELLES FORMES DE VIE ET DE NOUVELLES CIVILISATIONS, ET S'AVENTURER DANS LES RECOINS LES PLUS ELOIGNES DE LA GALAXIE." "FOR I DIPT INTO THE FUTURE, FAR AS THE HUMAN EYE COULD SEE, SAW THE VISION OF THE WORLD, AND ALL THE WONDER THAT WOULD BE." "THE FINAL FRONTIER HAS A NEW BEGINNING... BACK TO WHERE IT ALL BEGAN..."
"AT THE EDGE OF THE UNIVERSE, DISCOVERY BEGINS." "SPACE THE FINAL FRONTIER. ABOVE US, AROUND US, WITHIN US. 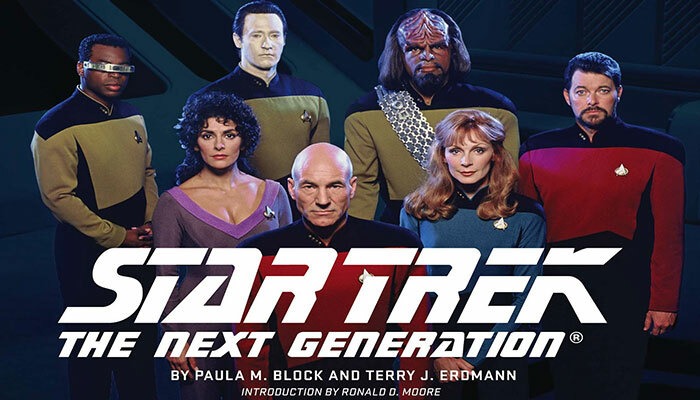 WE HAVE ALWAYS LOOKED TO THE STARS TO DISCOVER WHO WE ARE..."
Star Trek: The Next Generation (often abbreviated as TNG and ST:TNG) is an American science fiction television series created by Gene Roddenberry, that began in 1987 and ran until 1994. Roddenberry, Maurice Hurley, Rick Berman and Michael Piller served as executive producers at different times throughout the production. Star Trek: Voyager is a science fiction television series, set in the Star Trek universe. The show takes place during the 2370s, and begins on the far side of the Milky Way galaxy, 70,000 light-years from Earth. 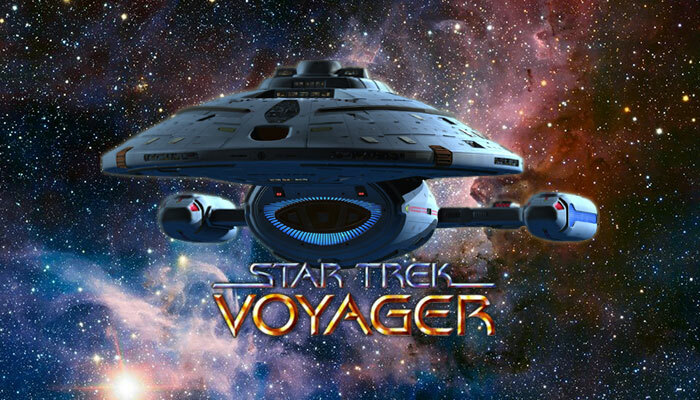 It follows the adventures of the Starfleet vessel USS Voyager, which becomes stranded in the Delta Quadrant while searching for a renegade Maquis ship. Voyager was to make the estimated 75-year journey home. 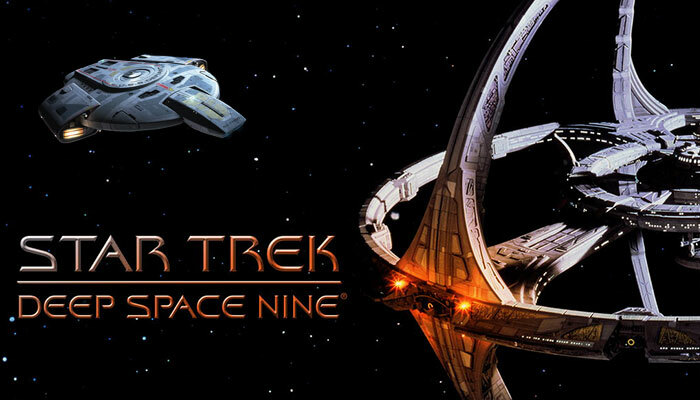 Star Trek: Deep Space Nine (sometimes abbreviated to DS9) is a science fiction television series set in the Star Trek universe in the Milky Way galaxy, in the years 2369–2375. 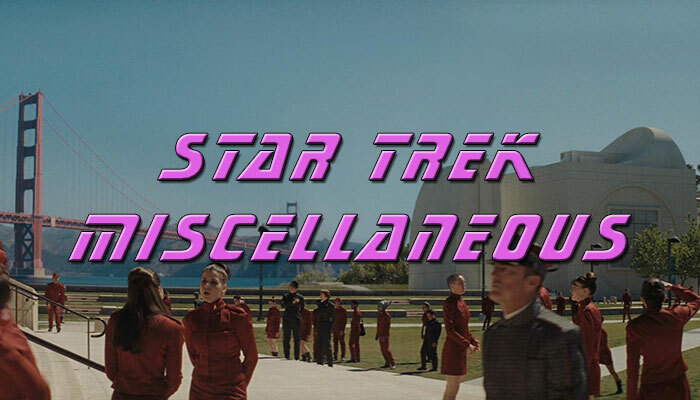 In contrast to the setting of the other Star Trek TV shows, it takes place on a space station instead of a starship, so as not to have two series with starships at the same time (the starship USS Defiant was introduced in season 3, but the station remained the primary setting for the show). 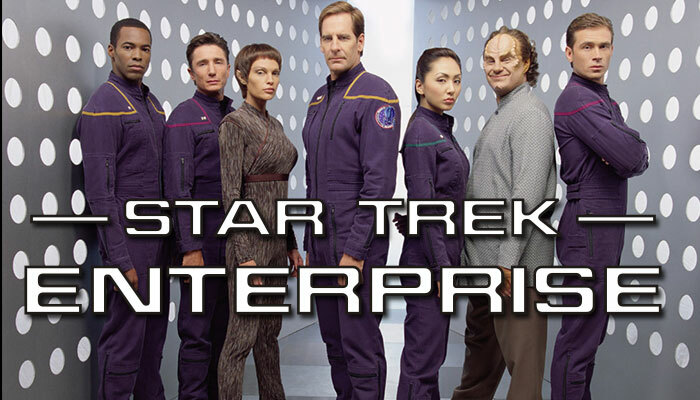 Star Trek: Enterprise (titled simply Enterprise for the first two seasons; sometimes abbreviated to ST: ENT) is an American science fiction TV series and a prequel to the original Star Trek series. 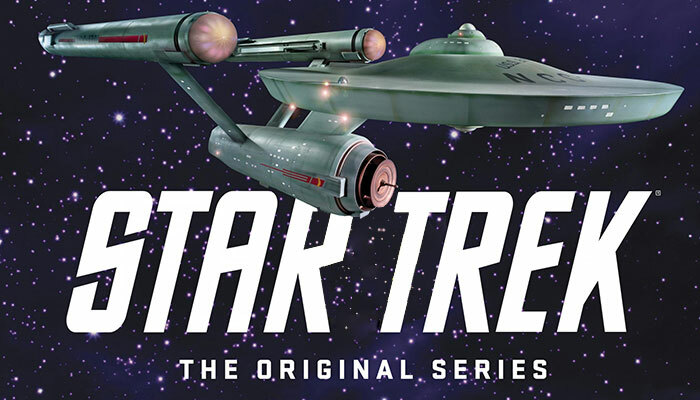 The show is set in regions of the Milky Way galaxy near Earth, aboard the Enterprise NX-01, Earth's first starship designed for long-range exploration of the galaxy and the first to be Warp 5-capable. The series begins in 2151 (115 years before the original series) when Jonathan Archer becomes the captain of the Enterprise, and ends in 2161 with the formation of the United Federation of Planets. 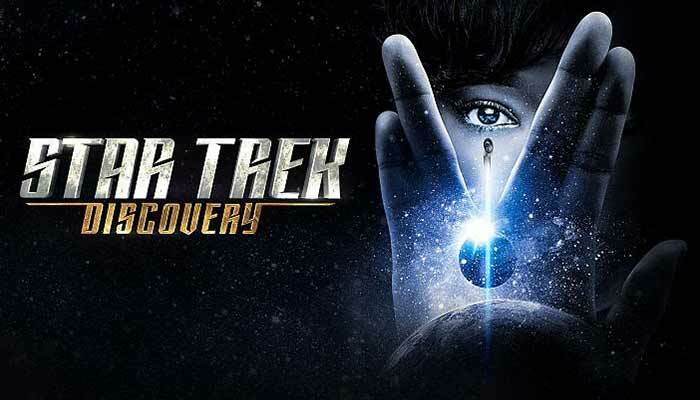 Star Trek: Discovery is set roughly a decade before the events of the original Star Trek series, and follows the crew of the USS Discovery during a Federation–Klingon war. 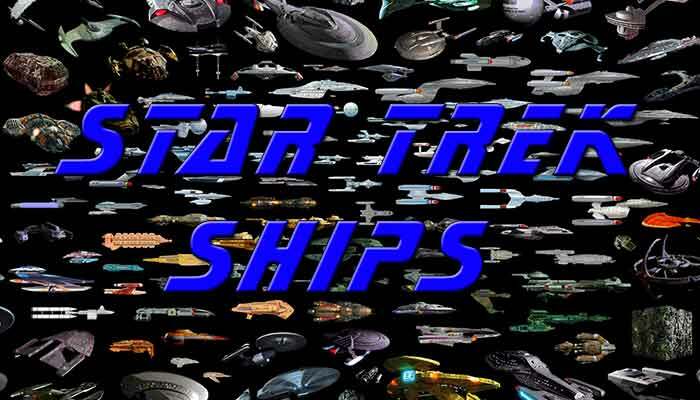 Here you can find from Star Trek universe's a lot of pictures of Starfleet ships. These vessels appear or are mentioned in the original series Star Trek (TOS), Star Trek: The Next Generation (TNG), Star Trek: Deep Space Nine (DS9), Star Trek: Voyager (VOY), Star Trek: Enterprise (ENT), the Star Trek films, or the Star Trek games. Many of the ship names, classes or registry numbers are not identified on screen and instead are derived from The Star Trek Encyclopedia. 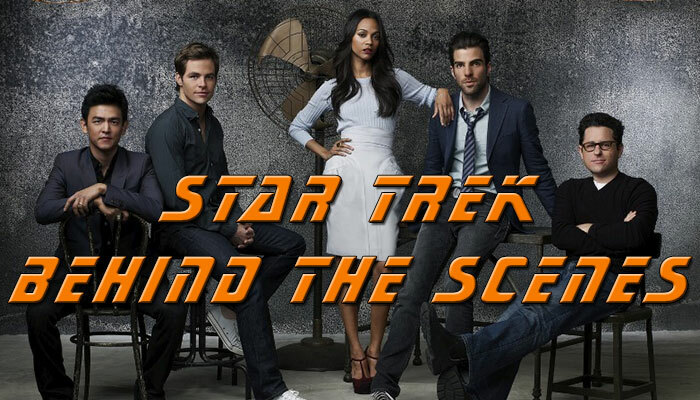 Here you can find pictures of characters in the various canonical incarnations of Star Trek (TOS), Star Trek: The Next Generation (TNG), Star Trek: Deep Space Nine (DS9), Star Trek: Voyager (VOY), Star Trek: Enterprise (ENT) or the Star Trek films. This includes fictional main and major characters created for the franchise. Here you can find pictures from Star Trek univers somes objects, clothes, sets and behind the scenes crews with or without makup. 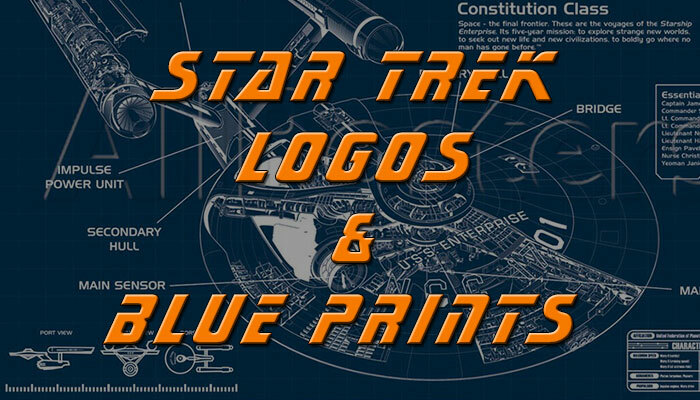 Here you can find from Star Trek universe's a lot of pictures of Star Trek logo or blue prints from the original series Star Trek (TOS), Star Trek: The Next Generation (TNG), Star Trek: Deep Space Nine (DS9), Star Trek: Voyager (VOY), Star Trek: Enterprise (ENT), the Star Trek films, or the Star Trek games. 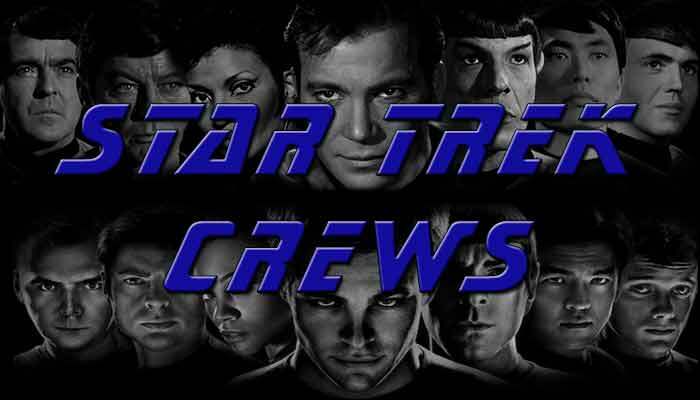 Here you can find from Star Trek universe's a lot of pictures who doesn't fit any others categories. 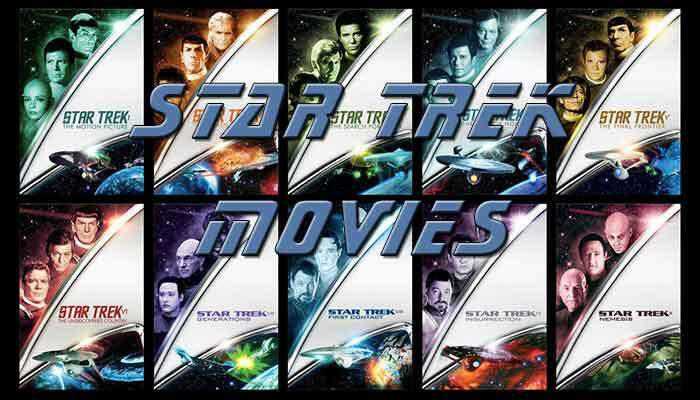 The Star Trek film series is the cinematic branch of the Star Trek media franchise, which began in 1966 as a weekly television series on NBC, running for three seasons until it was canceled in 1969 because of poor ratings. Reruns of the series proved to be wildly successful in syndication during the 1970s, which persuaded the series' then-owner, Paramount Pictures, to expand the franchise. Paramount originally began work on a Star Trek feature film in 1975 after lobbying by the creator of the franchise, Gene Roddenberry.